Air ionizers are used to reduce allergy and asthma symptoms by removing airborne allergens and pollutants. Ionizers work by creating a stream of negative ions that attract dust, pollens, and other allergens. 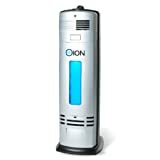 Ionizers are available as home / office units, and also as portable units that can work in your car etc.. There are several methods used to create negative ions: needlepoint ionization; photo-ionization or corona discharge. 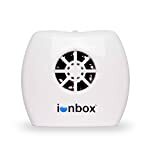 In general, Ionizers that are designed to emit the negative ions beyond the encasing of the unit can purify the air in a room much more thoroughly than an ionizer that relies on the air passing through the unit. Ionizers can accumulate and collect quite a bit of dust and residue from the air. As a result, they need to be cleaned on a regular basis (perhaps every 2-4 weeks). 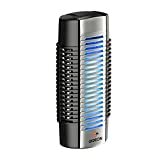 Some air ionizer units also include ultraviolet (UV) lamps to destroy micro-organisms that pass by the bulb, including germs, viruses, bacteria, and fungi (such as mold).